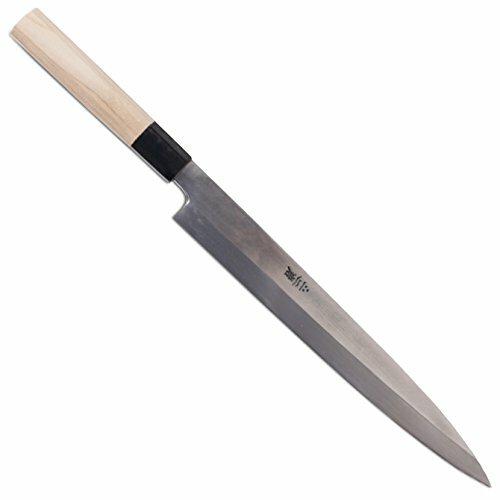 Nigara Forging Co. Yanagiba Stainless Single-edged - 10.6 BladeThe Santoku Knife is an all-purpose knife suitable for cutting meat fish and vegetables. It features both the versatility of a western butcher knife as well as a Japanese vegetable knife making it one of the most popular knives in the Japanese household. If you have any questions about this product by Nigara Forging Co., contact us by completing and submitting the form below. If you are looking for a specif part number, please include it with your message.